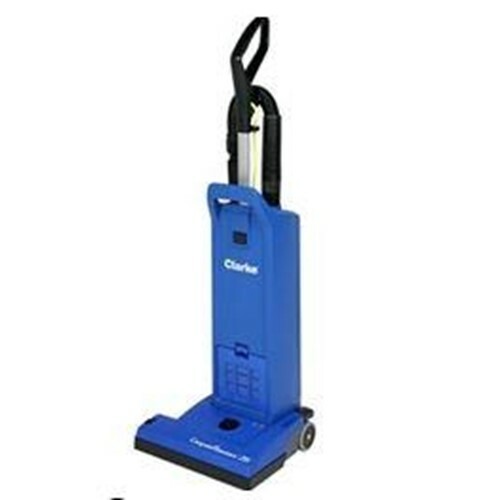 The CarpetMaster 200 Series Dual Motor Uprights are available in three sizes, 12, 15, and 18 inches. Designed with the operator in mind, we focused on ergonomics, durability, and reliability. The new CarpetMaster vacuums features a powerful motor, on-board crevice and upholstery tools, 50 ft yellow safety cord, quiet operation, HEPA filtration, bag indicator light, and a light handle weight. The motor is also conveniently located at the base of the machine which results in a lighter handle weight. Try it today and see why CarpetMaster is the clear choice.